Lesley Nicol is Miss Hannigan in 40th anniversary of Annie. 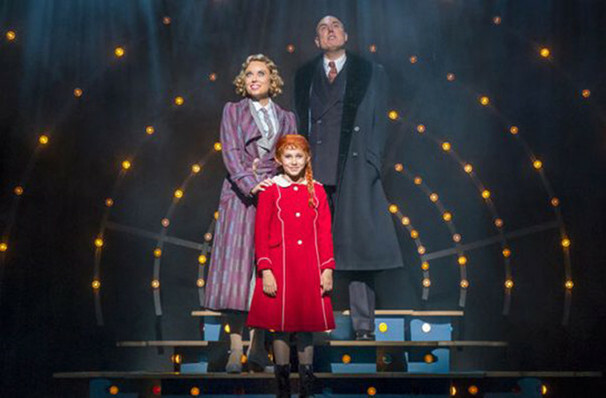 Annie has been a Broadway and West End staple for the last 40 years, with its heartfelt story of young orphaned Annie who has big dreams and an even bigger heart. With performances currently running in both New York and London Annie is a story that has crossed borders as well as generations. 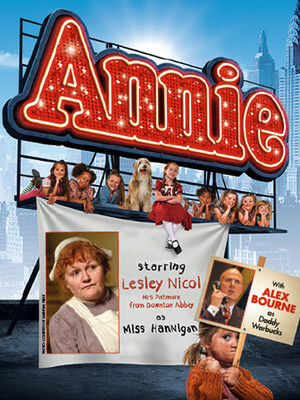 Star of Downton Abbey Lesley Nicol will be taking the reigns of the coveted Miss Hannigan. The beloved Nicol, who played the endearing Mrs. Patmore in the hit TV show Downton Abbey, will return to the stage as the story of Annie celebrates 40 years when it comes to the Ed Mirvish Theatre in Tortonto from April heading straight from the West End! Life is hard for Annie and the other orphans at the Hudson Street Orphanage in New York City. Presided over by dastardly and cruel matron Miss Hannigan fun is hard to come by until one day her life is changed for ever when Grace, the beautiful assistant of the enigmatic millionaire Oscar (Daddy) Warbucks comes to ask for an orphan to stay at his mansion for a holiday. This begins a mad-cap caper as Annie's bright and shining personality begins to win over the crotchety business man, teaching him the meaning of love, life and looking on the bright side. Sound good to you? 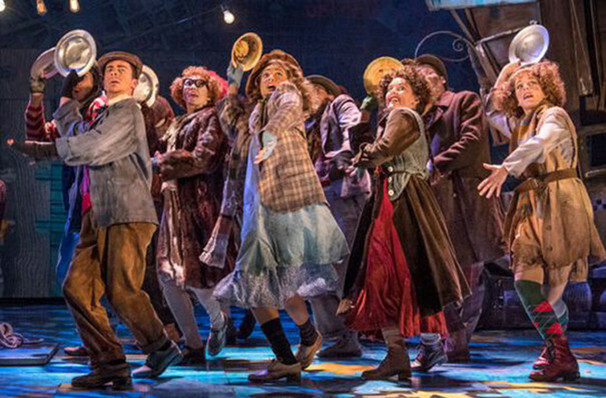 Share this page on social media and let your friends know about Annie at Ed Mirvish Theatre. Please note: All prices are listed in US Dollars (USD). The term Ed Mirvish Theatre and/or Annie as well as all associated graphics, logos, and/or other trademarks, tradenames or copyrights are the property of the Ed Mirvish Theatre and/or Annie and are used herein for factual descriptive purposes only. We are in no way associated with or authorized by the Ed Mirvish Theatre and/or Annie and neither that entity nor any of its affiliates have licensed or endorsed us to sell tickets, goods and or services in conjunction with their events.